A sailing day when we sailed downstream towards Luxor. We arrived at Luxor during late afternoon and then went to visit Luxor Temple as darkness began to fall. Modern Luxor occupies part of ancient Thebes on the east bank of the Nile. 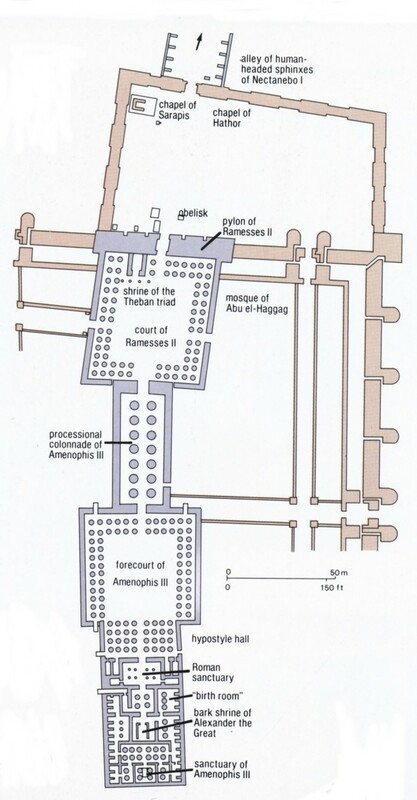 Thebes was the capital of the Egyptian Empire for about 1000 years. The 'Temple of the Southern Harim' of Amon was the repository of the divine spirit which had the power to transform a king-to-be to an actual divine ruler of ancient Egypt. It was built parallel to the Nile and was connected to the temple at Karnak by a long processional avenue flanked by rows of sphinxes on either side. The Egyptian government is now attempting to reconnect the avenue which means much upheaval for modern Luxor. Cruising from Aswan to Luxor. Approaching and passing the barrage at Esna. Images of Luxor Temple as light fades. painted wall decoration early Christian, columns, statue, relief decoration.